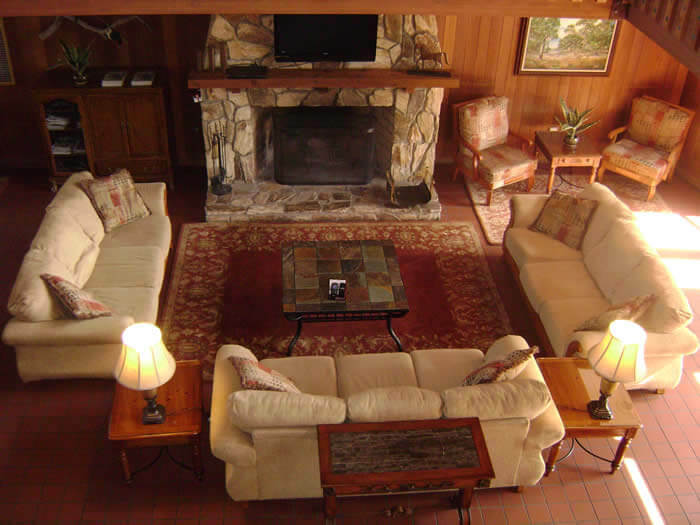 When you walk into our Ben Hill Griffin Lodge, you will immediately feel like you are in the mountains on vacation! It has a stone fireplace that is available upon reservation during the Florida winters or for a cozy gathering inside. Items are available to purchase at the gift shop at the front desk. The meeting rooms in this building that you will find include the Farm Bureau Room, Lakeview, Boardroom, Library and deck that can be tailored to your specific group’s needs. The lobby measures 1344 square feet and can be transformed to be the perfect reception setting before dinner. It’s tall ceilings and large stone fireplace give it a comfortable and relaxing feel! The Farm Bureau Room measures 1696 square feet and is perfect for your medium sized meeting or dining room. It can be set in a variety of ways to accommodate your event. It’s many windows allow for natural light to make your meeting more relaxing! The Lakeview Room measures 903 square feet and is one of our smaller dining rooms that can also be used as a breakout meeting room. It’s many glass windows provide a stellar view overlooking the beautiful sunrise and sunset over Lake Pierce. Our boardroom is one of our smaller intimate rooms that measures 615 square feet and would be perfect for a small gathering for your next event. The library measures 765 square feet and is located on the second floor of the Ben Hill Griffin Lodge and is set-up to accommodate a perfect board meeting or can be changed to meet your need. Our deck is on the back of Ben Hill Griffin Lodge that is perfect for a picnic looking out at the lake. 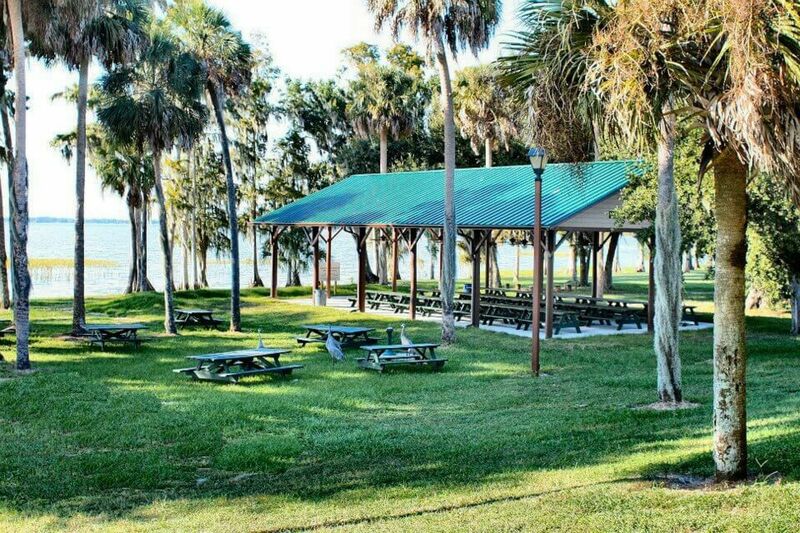 It is right next to the Lakeview room providing a convenient outdoor overflow space. 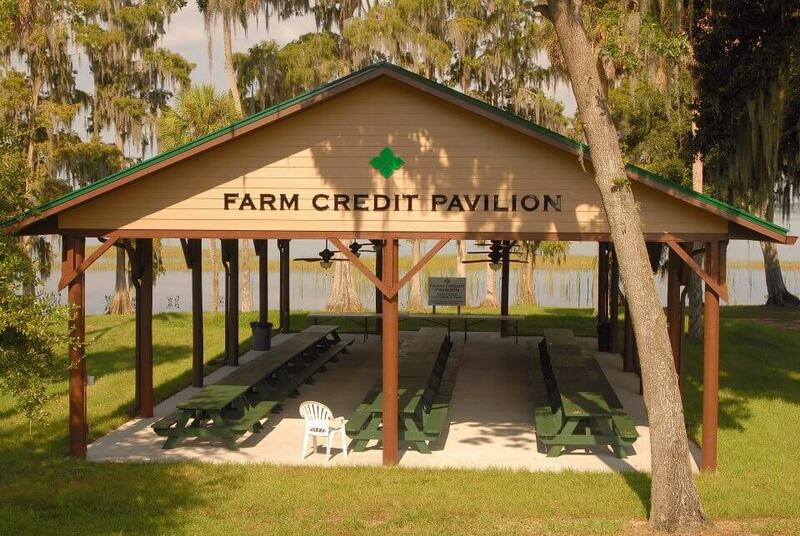 Feet from the deck is our Farm Credit Pavilion that sits closer to Lake Pierce. The Pavilion measures 1920 square feet and can be set in a variety of ways.